September 4, 2012 September 4, 2012 judyacohenLeave a Comment on Day 37 – Can You Smell the Pine? Day 37 – Can You Smell the Pine? I’ve been thinking about pine trees for the past few days. 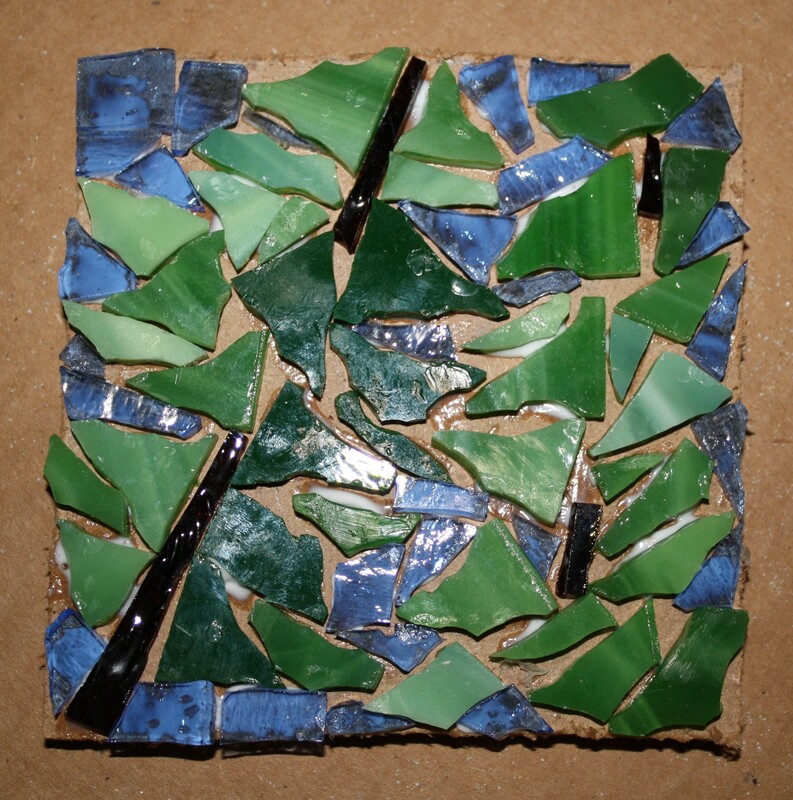 I wanted to see if I could get the pine feeling in my little mosaic. I feel it, do you? I left big grout lines so the grout color will be important. I’m hoping it will pull the whole think together. I’m getting a good feeling from this mosaic.